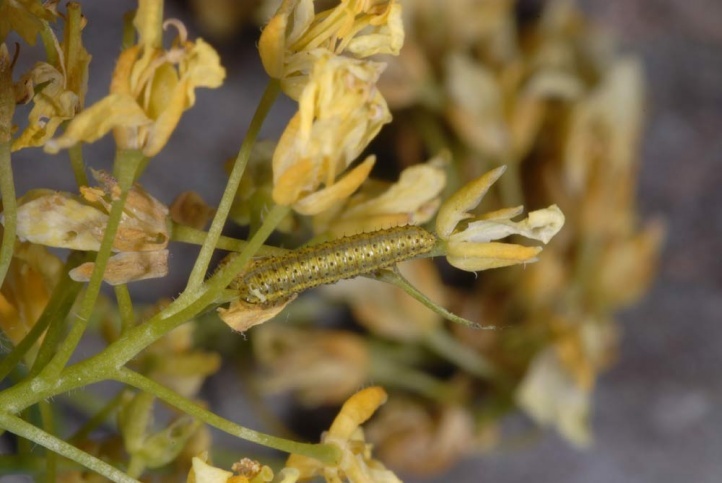 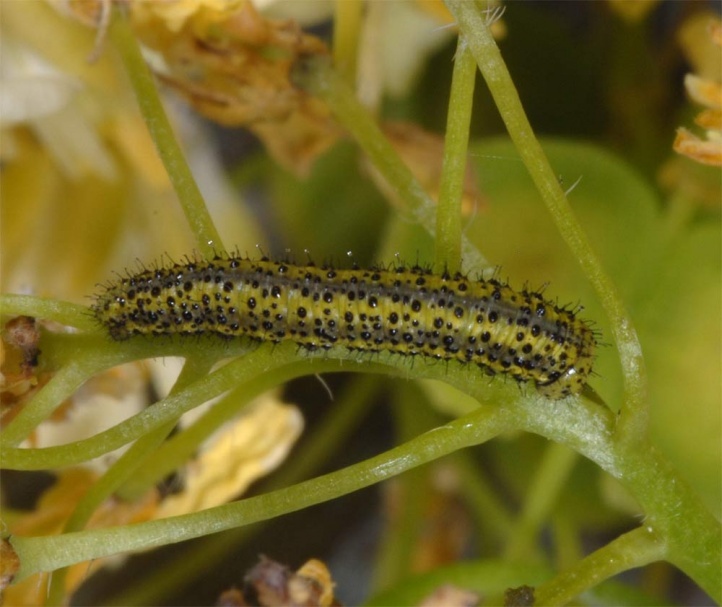 The larvae feed on Biscutella laevigata and allegedly also some other Brassicaceae. 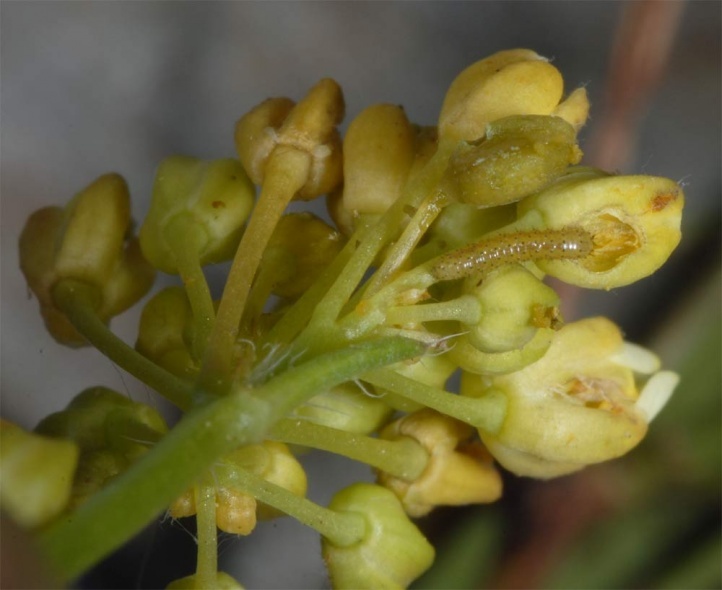 Euchloe simplonia colonizes rocky slopes, screes, avalanche corridors, gappy pastures and mountain meadows at elevations between 1000 (rarely lower) and 2500m above sea level. 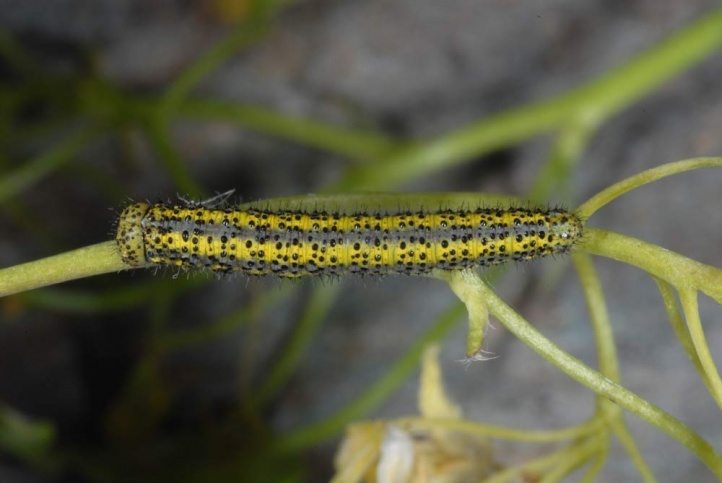 Euchloe simplonia flies in a single generation from May (lower altitudes) to early July. 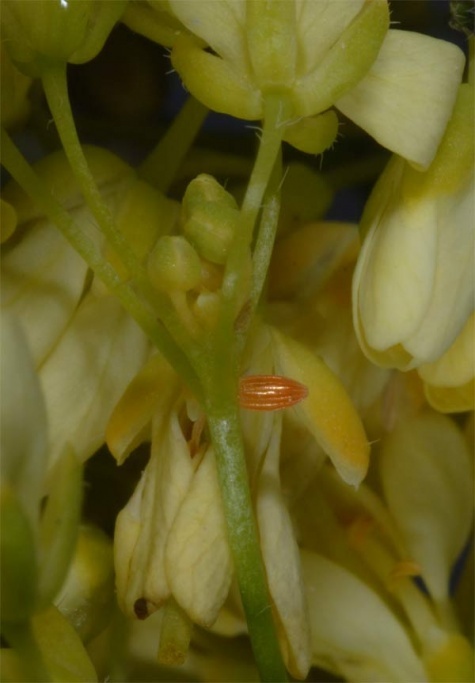 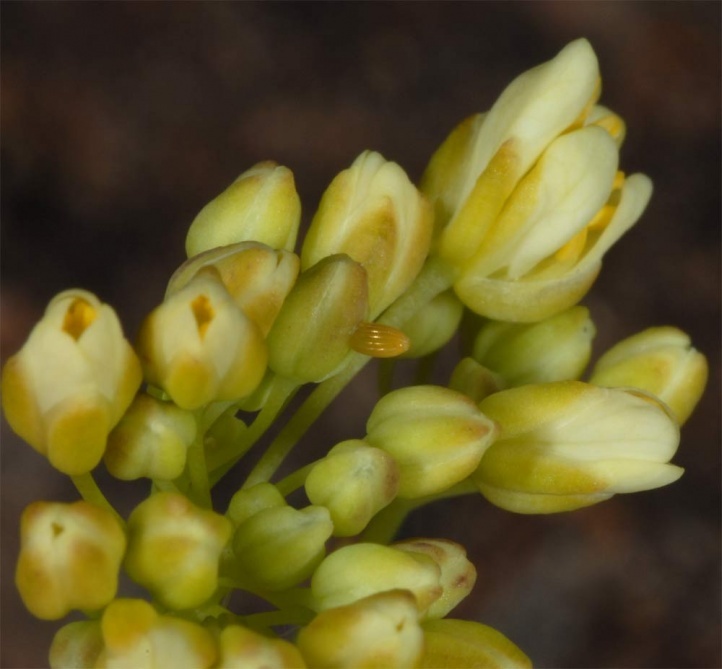 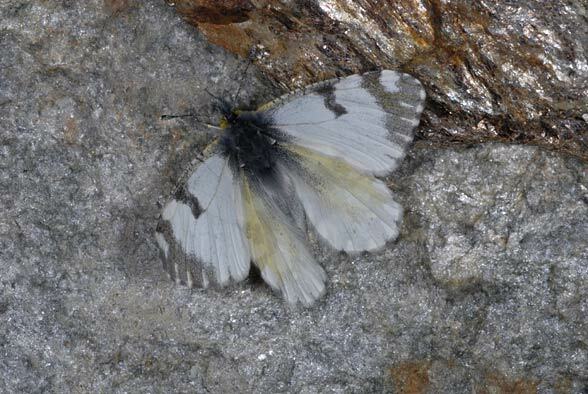 I observed fresh males at about 2000m above sea level in early June (Wallis) and eggs as late as early July 2008. 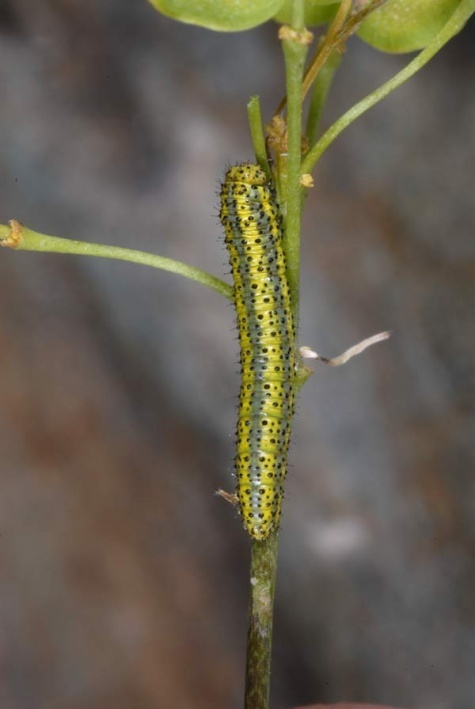 The caterpillars are found from June to early August. 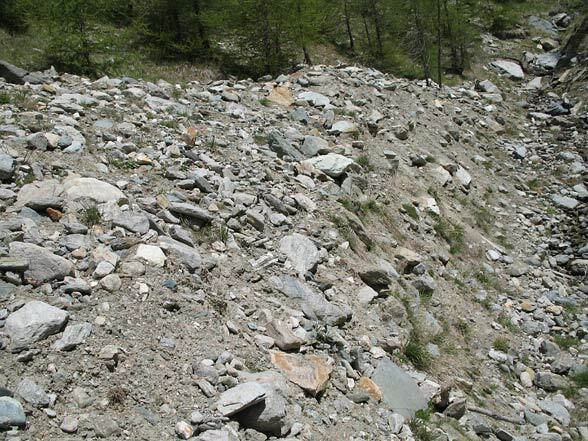 In lower altitudes, Euchloe simplonia is threatened by over-intensive cultivation (grazing, mowing, viticulture, overbuilding with Chalets etc.). 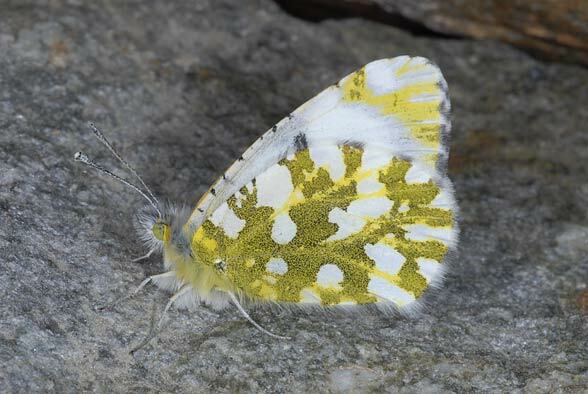 Euchloe simplonia occurs in the South Alps (France/Italy) to the Valais and adjacent parts of the Swiss Alps.